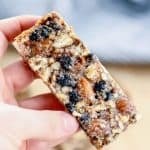 These Vanilla Blueberry Cashew Almond Snack Bars are a simple, yet flavorful blend and so easy to make! Once you try your hand at homemade nut bars, you won’t want to go back to store-bought! Wholesome ingredients, vegan, gluten-free, and grain-free. 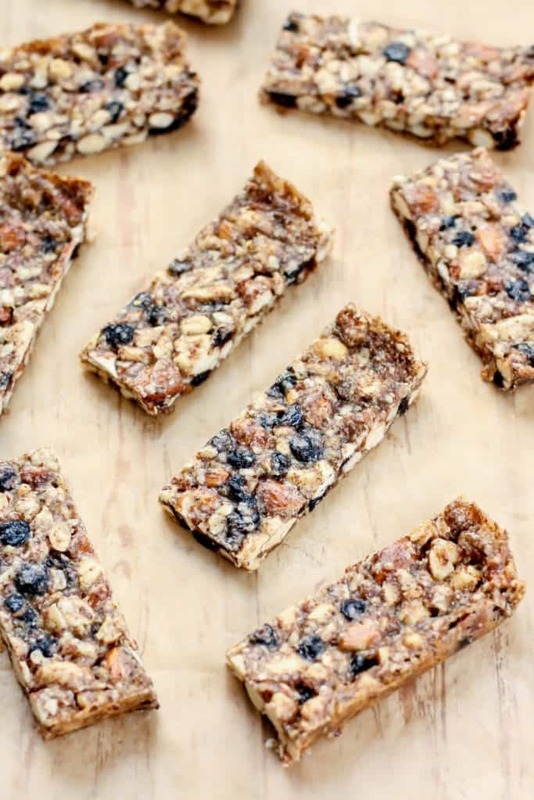 About time I get around to sharing these Vanilla Blueberry Cashew Almond Snack Bars with you! Not that you knew I was holding out, but I’ve actually had these bars planned for months! One of the reasons it took me so long was the need to buy brown rice syrup. You see, the first time I made these bars (again, months ago at this point) I used honey and they didn’t turn out quite right. I thought I could beat the system and use the honey I had in my pantry to make homemade “KIND” bars, but I was wrong. The bars didn’t hold up properly, and the honey wasn’t enough to keep them together. 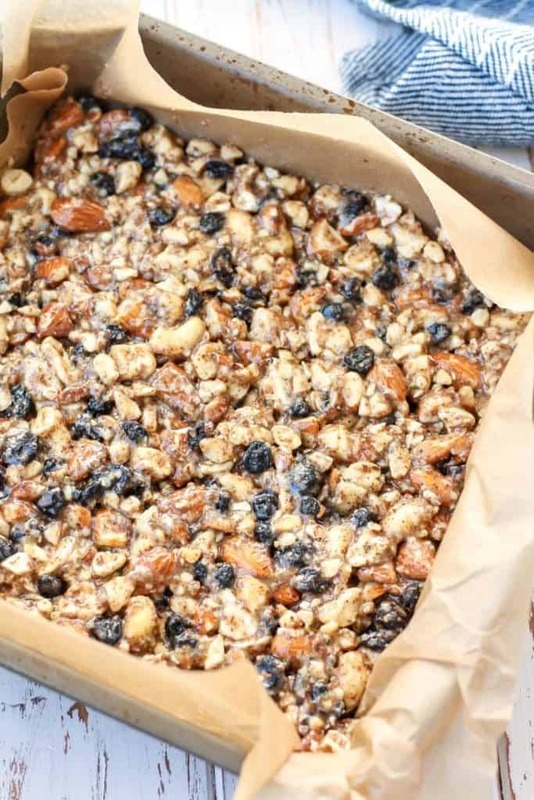 I’ve put these bars on the back burner for such a long time, and then my friend Emilie inspired me to give this recipe another try when she shared her almond granola bars. If you’re new to using vanilla beans, all you have to do is slice open the bean lengthwise, open it up and scrape out the seeds using a spoon or sharp knife. I used this little guide here, from The Kitchn. Then transfer the mixture into your lined baking pan and bake for 18-20 minutes at 300F. And like I said before, the brown rice syrup is KEY in getting these snack bars to hold together. This stuff was SO sticky, and a little tough getting into the pan, but that is exactly what you want! I actually used the back of my rubber spatula, then applied pressure with my hand to spread the mixture evenly and push into all the corners. Work those muscles. 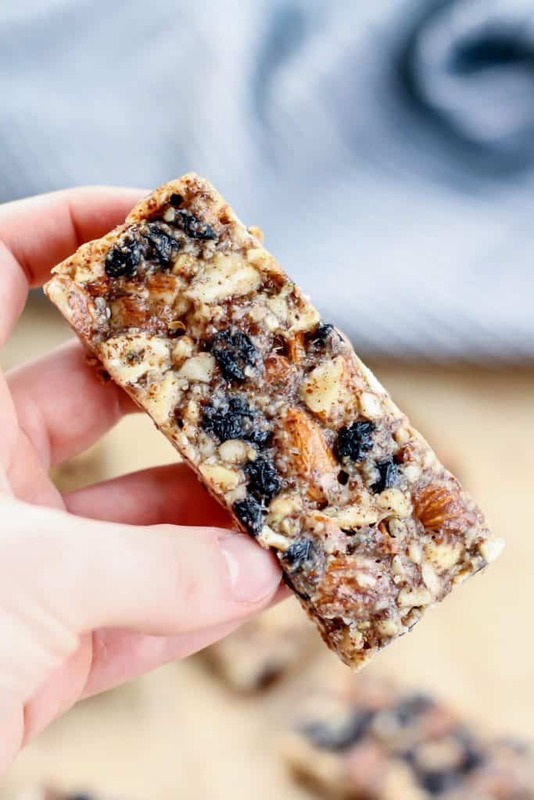 These Vanilla Blueberry Cashew Almond Snack Bars are a simple, yet flavorful blend and so easy to make! Wholesome ingredients, vegan, gluten-free, and grain-free. Preheat oven to 300F and line an 8×8 pan with parchment paper hanging over edges. Set aside. 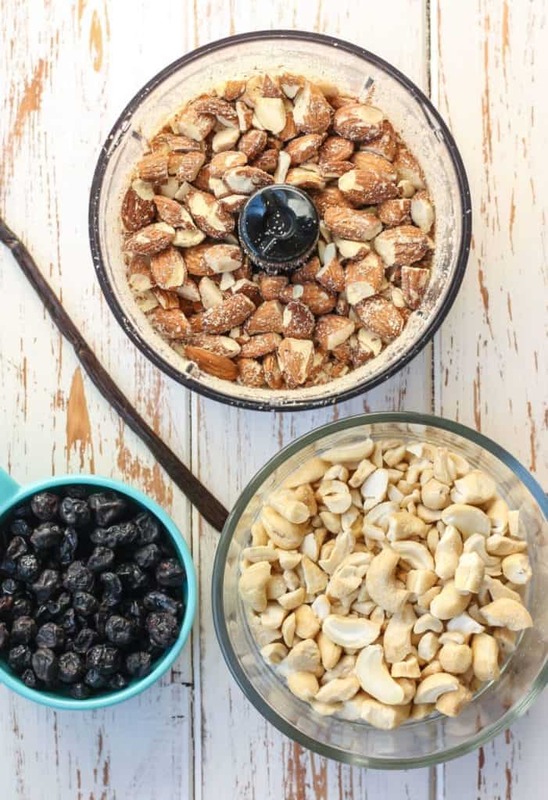 In a large bowl add chopped cashews, almonds, dried blueberries, almond meal, flaxseed, vanilla beans, and brown rice syrup. Using a large wooden spoon or rubber spatula, stir together ingredients until fully combined. Mixture will be VERY sticky and thick. Transfer mixture into lined pan and press into even layer, making sure to get into all four corners. I used a thick rubber spatula and the pressure of my other hand on the back of the spatula, to evenly press the mixture down into the pan. Bake bars for 18-20 minutes, then allow bars to cool in pan at room temperature. Transfer pan to fridge for 1 hour and allow bars to set entirely. Remove bars from pan using parchment paper edges, and cut into 10 even bars. Wrap bars individually and store in container in fridge up to 2 weeks. *You may sub 2 tsp vanilla extract if you don’t have vanilla beans. But the beans definitely bring out extra flavor! -Total time does not count time for cooling in fridge. Total time before bars are ready is about 90 minutes. 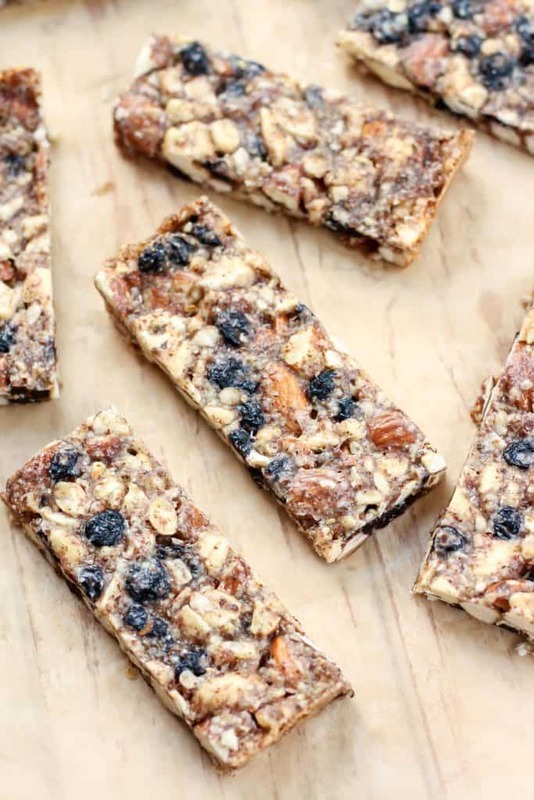 Copycat KIND bar alert: Vanilla Blueberry Cashew with Almonds. They taste almost EXACTLY like the store-bought version! 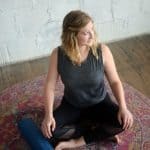 Have you tried KIND bars? If so, what’s your favorite? Ah! So The Vanilla Blueberry Flax KIND granola was always my favorite!!!!! So last year I made my own version of it! Haha! It’s one of the best!!! Blubs!!! Those kind bars are my FAV! Love the addition of vanilla bean. I need to try these out and get me some brown rice syrup! Yes you do! The brown rice syrup is key and you’ll be wanting to make homemade nut bars all the time! These look SO GOOD! Vanilla bean is literally everything. I used to love using brown rice syrup but haven’t in ages. This is inspiring me to go get some and experiment! I’m currently obsessed with my vanilla beans and love them to death! Oooh can’t wait to see what you have up your sleeve! The brown rice syrup is def a game changer. Woohoo! I just can’t get enough of this flavor. It def is my favorite. Thanks Alexa! I’ve always been a fan of kind bars and now I have to make these. So easy!! The blueberry with the almonds and cashews. Omg yum! Thanks for the tip that honey won’t work bc that is probably what I would have used!! Lol yes unfortunately the brown rice syrup is definitely the wonder ingredient here, and using honey would not yield the same result. Awesome, Tim! Thanks so much for your comment. Must try these! I love KIND bars, but not so much the price…I usually only buy when I find them at Marshall’s. Brown rice syrup is pure gold!! When I switched to that my homemade bars went from nice to WOAH! Such a difference! I’m out of granola bars at the moment and I’ve got some dried cranberries in the pantry (I’ll have to sub those BBs 🙂 ) I’ll have to try these next! I agree about the brown rice syrup! It really does make a huge difference in holding bars together. Aww thanks for the shout-out! <3 I love that you used whole vanilla beans here. These look so good!! These seriously look legit like the original kind bars. I love making/eating homemade bars, plus I’m sure once you have the brown rice syrup the world of kind creations is at your disposal. And yes, super pumped about that magic that is brown rice syrup! You are KILLING it with your oat/nut/fruit combos lately! I am obsessed with any granola or cereal that has a vanilla/fruit combo. So naturally I’m loving this. So easy, no preservatives, and brown rice syrup as a sticky agent is awesome. That stuff rocks. Thanks girl! I can’t beat that vanilla bean flavor! It was my first time using brown rice syrup in a recipe like this, and it made a world of difference. I won’t be going back. I love KIND bars. My favorite are the dark chocolate sea salt. However, these would be next on the list! Oh those ones are tasty too! 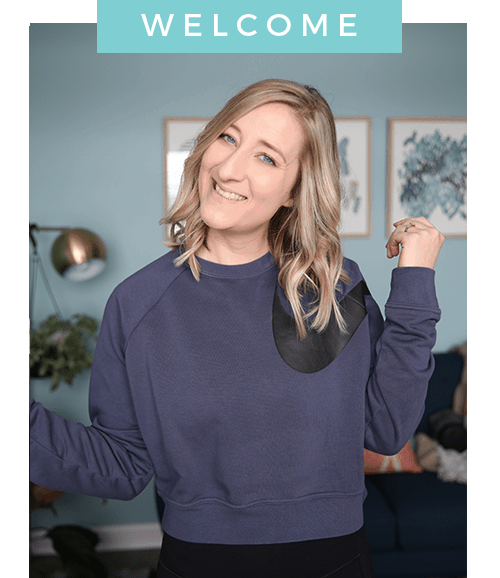 I am so excited to have this recipe now! I love making my own bars, these look like a winner. These look amazing!!! Just wondering if its possible to use fresh or frozen blueberries instead of dried? Would I get the same result?? These look amazing!! Just wondering if I could use fresh or frozen blueberries instead of dried ones? Would they achieve the same result you think? Thank you for this amazing recipe Ashley! I’m going to make the bars for a beach picnic I’m hosting on Saturday morning x Averill I also only had frozen berries. You can place them in boiling water for a minute, drain and then dry them in the oven at 105C/220F for about 2 hours x Hope this helps! These look amazing and healthy. I will try them soon. Can I use maple syrup in place of brown rice syrup? Thank you! Hi Nisha, Unfortunately the brown rice syrup cannot be subbed here or the bars won’t hold up and say together! The brown rice syrup is extra sticky and really helps the texture of these. Lovely, Shelly! Thanks so much for your comment. I am so glad they were enjoyed. And wow what a huge compliment from your grandsons – Thank you! !